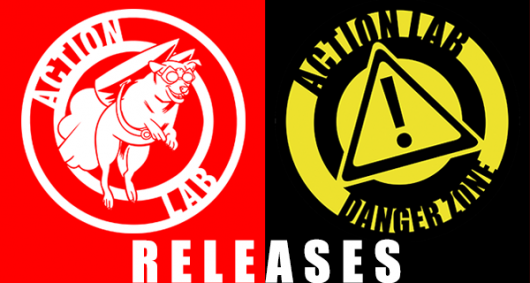 Below you’ll find the solicitations information and cover artwork for all of Action Lab comic book titles that were released last week on June 1, 2016. Only two comics this week but Bolts #1 looks to be an interesting new one from Action Lab, it’s…different. Think futuristic storyline meets gothic character. Sidenote: both of these comics are geared towards mature readers, folks. Keep the kiddos away from them, lots of blood and gore. Written by Ovi Demetrian, Jr. Letters by Ovi Demetrian, Jr.
Not all heroes and villains come equipped with capes and maniacal laughs. And if you are looking for a good versus evil, superhero-ish comic then you have come to the wrong place. But if you are looking for a good story, an entirely plausible tale, then Hactivity: Private Data is for you. There is not a thing in this comic that couldn’t come true in the near future. What you think of as privacy is merely an illusion, my friends. 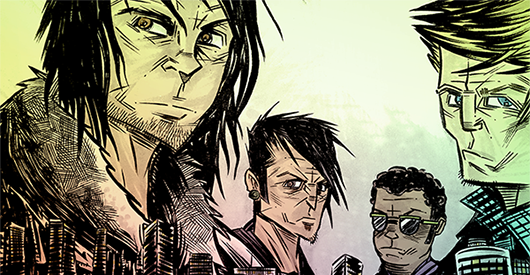 And this webcomic turned graphic novel will show you why. Shawn Harris, also known as T.F. in the cyber realms, has done the unthinkable. He has hacked into multiple government databases and released classified information to the public. The fact that the information he released was all focused on how our government agencies were watching everyday citizens is beside the point. Or is it? Having grown tired of the way the FBI, NSA, and other entities were going about their business at the expense of the common man, Shawn decided to warn his fellow Americans by shedding light on their dark little secrets. And they, in turn, arrested him.